Robert W. Talledge, 64, of W Michigan Street in Port Washington, Wisconsin died Thursday, March 22, 2012 at Heritage Nursing and Rehabiltation Center in Port Washington. He was born April 2, 1947 in Port Washington to Charles and Evelyn Oemichen. He grew up in Cedarburg, graduating from Cedarburg High School in 1965. He served his country in Vietnam from 1965 to 1971 as a Sergeant in the United States Marine Corps. He met Francine “Fran” Schaefer of Washington D.C. and they were married December 14, 1968 in Falls Church, Virginia. Bob worked for Power Products years ago and then was the leadman of the paint shop at Jor-Mac Company in Grafton. More recently he was a spray painter at Custom Tank / Sauk Technologies in Saukville until 2008. He was a former elder at St. John’s Lutheran Church in Port Washington. Bob was a good hearted man who loved his family, being up north and fishing. He is survived by his wife Fran, daughter Monica (David) Strand of Cedar Grove, Wisconsin, son Bobby Talledge of Port Washington, Wisconsin and granddaughters Megan and Amanda Strand. Further survived by sisters Barb (Mike) Stroede of Saukville,Wisconsin Bonnie (Jerry) Bishop of Carson City, Nevada, nephews Dave Stroede, Jason Bishop and Jared Bishop, mother-in-law Ruth Lawson of Port Washington, Wisconsin, other relatives and friends. Preceded by his parents and nephew John Bishop. 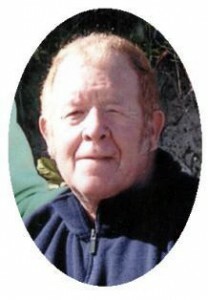 Pastor Martin Wildauer will officiate funeral services 7 pm Monday, March 26, 2012 at St. Matthew Ev. Lutheran Church, 1525 W Grant Street, Port Washington. Visitation 4 – 7 pm Monday at the church. Interment will be in Immanuel Cemetery, Cedarburg. Memorials are appreciated.